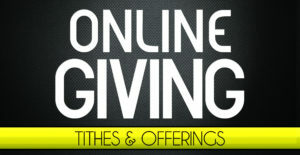 First Baptist Litchfield now has online giving. First Baptist Litchfield strongly teaches that living debt free is a worthy goal for all Christians. We offer online giving only as a convenience. Users of online giving are responsible for setting up and controlling their online giving options. They can designate where their giving goes (General Fund, Missions, etc.) and the frequency in which they give. They will be able to constantly track their online giving by logging in and viewing their history. Online giving allows you to set up your giving using an automated bank draft to your account; is secure, tax-deductible and online records will not reflect any manual giving. Credit cards are not permitted. You are free to give via the weekly offering in the Worship Service, by mailing your contribution into the office, or by the internet. We welcome you to give whatever and however God has called you to give.